I heart faces is focusing on anything BUT a face this week. I have some photos that focus on hands or feet, but this has always been one of my favorites. 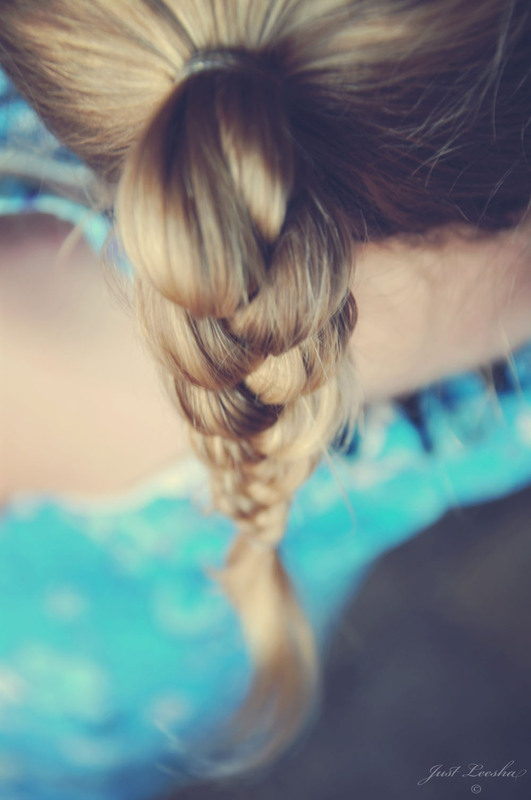 Just a simple photo of my daughters braid. i like this shot- very interesting! what an interesting shot! I love it! What a great idea Leesha! I adore anything original like this! You are an amazing photographer. love this angle. very creative!